Sophie and André are the first ones to graduate from l’Ecole de la Vigne last year. 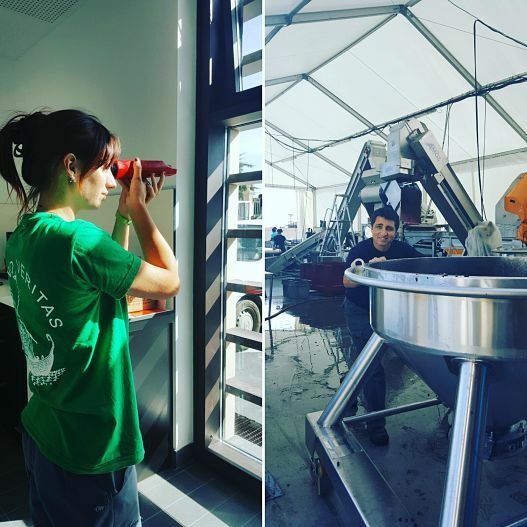 Sophie is analysing the Potential Alcohol Degree from the grapes and André uses gravity to fill the vats. They both sign their first vintage as official members of the Beychevelle boat.